"A Theory of Information Quality and its Implementation in Systems Engineering"
"Pliability and Viable Systems: Maintaining Value Under Changing Conditions"
"Modeling Radar Probability of Detection for a Randomly-located Mover on an Arbitrary Road Network"
"Platforms for Engineering Biomedical Experiments"
"Metaheuristic Approaches for the Blockmodel Problem"
"Formation Coordination for the Propagation of a Group of Mobile Agents via Self-Mobile Localization"
"A Dynamic Service Class Mapping Scheme for Different QoS Domains Using Flow Aggregation"
"MUCM: Multilevel User Cluster Mining Based on Behavior Profiles for Network Monitoring"
"Multipoint Haptic Guidance for Micrograsping Systems"
"Energy Loss Minimization in Distribution Systems Utilizing an Enhanced Reconfiguration Method Integrating Distributed Generation"
Dr. Vincenzo Piuri will be delivering a lecture on Computational Intelligence for Biometric and Industrial Applications at California State University 9 February 2016. The Systems Council currently is looking to expand through the use of Chapters. Creating a Systems Council or Joint Chapter is easily done through a petition, submitted to IEEE. For more information on this process please visit the IEEE website or contact Rich Hochberg, VP Member Services. View a list of current Systems Chapters on our website. Engineers today start their careers with excellent technical skills and subject matter expertise. 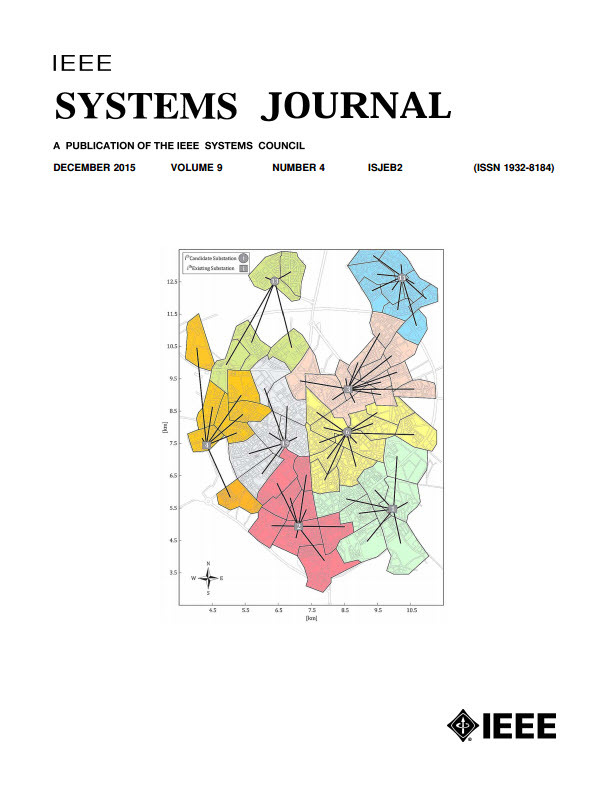 The IEEE Systems Council Newsletter includes time sensitive news useful to its members, and highlights content from the current issue of IEEE Systems Journal. The 10th Annual IEEE International Systems Conference will take place 18-21 April, 2016 in Orlando, Florida, USA. View a brief history of this conference. The conference caters to both practitioners and academics, providing a forum to exchange ideas and experiences on technology, methodology, applications, study cases, and practical experiences. The Keynote Speaker has been announced! The 6th IEEE Green Energy and Systems Conference (IGESC) was held 9 November 2015 at California State University, Long Beach, CA, USA (6th year in a row). There were approximately 200 attendees, including paper presenters from Singapore, Portugal, etc. The presentation slide of Keynote and Lunch talks are available on our website. More photos are available on Dropbox. Both Keynote and Lunch talks were video recorded and will be available soon. The 7th IEEE Green Energy and Systems Conference (IGESC) will be held in Long Beach, CA 7 November 2016. View the IGESC 2016 Call for Papers. The submission deadline is 6 June 2016. The IEEE is committed to excellence and the IEEE Systems Council Technical Committees (TC) are designed to flexibly respond to any engineering interests whether they be long or short term. To participate in one of the TCs, please contact Roger Oliva, VP Technical Operations for the Systems Council. Please view our website for more information. IEEE Systems Council Intelligent Transportation Design (ITD) Technical Committee meetings will be held bi-weekly either on Tuesday or Thursday. The goal of the IEEE ITD meeting is to capture the essence of machine-enabled human and cargo transportation through all modes of travel. Issues associated with the safe implementation of electromechanical systems supporting autonomous and semi-autonomous transport will be identified, predicted, and their mitigation strategies recommended. Particular attention will be paid to the power processes, internal and external electronics, and the material integrity of electromechanical systems. For additional information regarding the IEEE Systems Council Intelligent Transportation Design (ITD) Technical Committee meetings, please contact Roger Oliva at roger.oliva@ieee.org or LaMont McAliley at lamont.mcaliley@noblis.org. The Systems Council AdCom will hold their next meeting 21 April 2016 in Orlando, FL, USA. This meeting will be held in conjunction with the 10th Annual IEEE International Systems Conference. View a listing of the members of the Systems Council Officers on our website.